Chief Justice of India Justice P Sathasivam who constituted the three-judge panel in the wake of the allegations leveled against a retired Supreme Court judge by a NUJS graduate, who was interning under this retired judge, to inquire into the young lawyer's sexual harassment complaint against its former judge A K Ganguly has accused him prima facie of unwelcome behavior relating to conduct of sexual nature. It has been revealed by the Chief Justice of India P. Sathasivam that the 3-judge committee has come to the conclusion that the intern’s statements disclosed that retired Justice Ashok Kumar Ganguly has committed an act of unwelcome verbal and non-verbal conduct of a sexual nature towards the law intern. The statement of the Chief Justice has been published on the Supreme Court’s website which states that after carefully inspecting the written as well as oral statement of the law intern, the affidavits of her three witnesses and the statement of Mr. Justice (Retd.) A.K. Ganguly, it appears to the Committee that in the evening on 24.12.2012, the law intern had visited hotel Le Meridien where Mr. Justice (Retd.) A.K. Ganguly was staying to assist him in his work which has not been denied by Mr.Justice (Retd.) A.K. Ganguly in his statement. Further, the committee was of the view that the statement of the law intern both written and oral, prima facie revealed that Mr. Justice (Retd.) A.K. Ganguly behavior was an act of unwelcome behavior, a behavior which was unwelcome, verbally/non-verbally and of sexual nature while the law intern was with her in the room in hotel Le Meridien on 24.12.2012 approximately between 8.00 P.M. and 10.30 P.M. The statement uploaded to the Supreme Court’s website also stated that taking cognizance of the fact that an incident of alleged aberration was reported in the Times of India, New Delhi Edition, on Tuesday, the 12th November, 2013, which read that a law intern alleged a Supreme Court judge of sexually harassing her, the Chief Justice of India, considering that such allegation against a Supreme Court Judge will have a direct bearing on the Institution's reputation and credibility, a Committee consisting of Hon'ble Mr. Justice R.M. Lodha, Hon'ble Mr. Justice H.L. Dattu and Hon'ble Mrs. Justice Ranjana Prakash Desai, was constituted on the very same day, to determine the truth of the allegations. After carefully scrutinizing the statements of the intern, the affidavits of her three witnesses and Mr. Justice A.K. Ganguly, former Judge of this Court, the three-judge committee submitted its report on 28th November, 2013. Also, the law intern and Ganguly will be furnished with a copy of the report, dated 27 November, by the apex court’s secretary general. 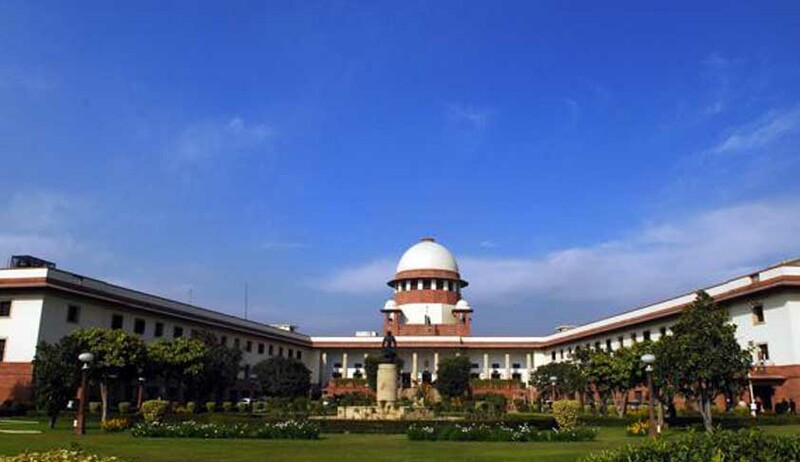 However, Chief Justice P Sathasivam concluded in his statement that no there is no requirement of follow-up action by this Court since the intern was not an intern on the roll of the Supreme Court and that the concerned judge had already demitted office on account of superannuation on the date of the incident. He further stated that the three-judge committee was constituted taking in note the fact that a report appeared in the media talking saying the alleged incident has been committed by a "Supreme Court Judge", and after examining the statements of the law intern and other witnesses, the committee has submitted its report. However, the court cannot take any action, as the judge had already retired on the date of the incident. Thus, the Chief Justice informed that as decided by the Full Court in its Meeting dated 5th December, 2013, it is made clear that the representations made against former Judges of this Court cannot be entertained by the administration of the Supreme Court. Saying that he was a “victim of circumstance”, Ganguly has been denying that he has sexually harassed any intern, after the Supreme Court released his name and also informed that he had not yet taken a decision on whether he would step down as chairman of the West Bengal Human Rights Commission (WBHRC), as there has been a lot of hue and cry demanding him to resign from the post of Chairman of the statutory body. After Attorney General of India Goolam Vahanvati filed a petition to take cognizance of the matter, Chief Justice of India P Sathasivam convened an inquiry on 12 November. The disclosure of the alleged sexual harassment was first made by the law intern on a blog, on 6 November.